The next video is hard to watch and may not be appropriate for everyone! 2. Mark your calendars for March 27, 2010, @ 8:30 pm. For more information on Earth Hour 2010, click HERE. For teacher/parent materials, and fun activities for kids, click HERE. Today I have something special for you ... my bloggy friend Lynn, from Smiling Green Mom, and I are swapping posts. Yep ... she's writing for Reduce Footprints and I'll be writing for Smiling Green Mom. Smiling Green Mom is a wonderful blog. Lynn covers all kinds of topics ... from a recent recipe for Dairy-Free Creamy Potato Soup to a wonderful post on how living green can save your life and your pocket-book. She writes with sincerity and humor ... I think you'll enjoy her style. 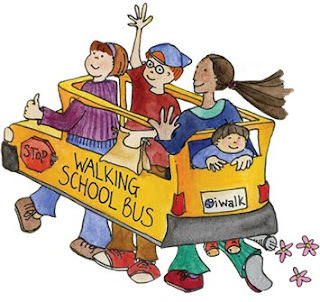 Okay ... relax and enjoy her post and then, if you have a few more minutes, click on the bus for a ride to Smiling Green Mom where you'll see what I have to say today. As the mom of two, one being our four-year-old who suffers from food allergies and Eczema that once covered his tiny body, our family has embraced “true” foods and natural green living. You could say that we “stumbled” onto this path or perhaps a more accurate depiction would be that of someone actually being physically, mentally and emotionally picked up and deliberately thrown inside of a tornado. It was a whirlwind of frustration, tears and exhaustion. I say deliberate because I don’t believe anything happens by chance. Now that our son is so much better, (I am always happy to share how this happened with anyone who wants to listen) I can look back and see that so much of what we experienced through our son’s Eczema and allergies, became an opportunity for us to see how ordinary and everyday things that surround us can impact our health. We were “forced” to learn how to read food labels, we saw first-hand how even a small amount of a synthetic ingredient could impact our body by seeing our son’s skin immediately react. We knew, just by looking at our small baby’s red and inflamed skin that our home needed to become “toxin-free”. And so our story began. All of us have a story! Maybe your story involves depression or anxiety? Maybe you know of someone who has suffered from disease – or maybe you feel overwhelmed with daily “clutter”? Our lives are made of many small events that have the ability to shape us and to make our story an amazing one. We have a choice to embrace our challenges and experiences and turn them into something meaningful and positive. And guess what? Living green is a lifestyle made of small choices everyday that add up in so many ways and have the power to be healing to our inner-selves and the whole world around us. Sometimes, all it takes is for us to slow-down and de-clutter our lives and our homes to really feel the peace that comes from simplifying. Living green to me means just this. It means choosing to live a natural, simple and abundant life by making daily choices that are good for my family and good for our planet. Some of the small choices we have made in the past year have included planting a garden, making our own laundry soap, shopping our local farmer’s market, avoiding processed foods, cooking homemade and making our own cleaners. There are so many shades of green and no two people are ever the same. But if we all started changing just a few things, avoiding over-consumption and really simplifying our daily lives - it could have a huge impact for our planet, for ourselves and for those around us. All it takes is one voice. One change. One life to make a difference. How exciting that all of us have the opportunity in front of us everyday to make small choices with great impact. I urge you look at the experiences that have shaped who you are today and to use these, whether good or bad, to become better. I just read a great quote somewhere that said, “it doesn’t matter how good you are, it matters how good you want to be”. Small changes really can make a difference and I encourage you to turn your story into a fantastic novel! A big thanks goes to Lynn for that great post. Okay ... ready for a ride? Hop aboard! Here's an interesting fact: "The U.S. book and newspaper industries combined require the harvest of 125 million trees each year and emit over 40 million metric tons of CO2 annually; equivalent to the annual CO2 emissions of 7.3 million cars." from The Green Press Initiative. On these cold winter days, there's nothing better than curling up with a good book ... losing one's self in a story or learning something new. The feel of a book ... the smell of the pages ... it is, for many of us, a link to our earliest memories. Unfortunately, it requires a lot of paper and resources to go from an idea in an author's mind to a book in our hands. Yes, we can now read books online or buy reading devices but, for many of us, there is nothing better than holding a book. Use the library. If you haven't been to a library for some time, you might be surprised. Today's libraries are user-friendly, organizing isles by subject and interest. Consider buying a "used" book. If owning a book is more appealing than "renting" one from a library, check out used book stores. Prices are typically lower and many stores offer cash for your trade-ins and/or points towards other books. Check out thrift stores. Many people buy a book, read it once, and then donate it ... so "almost new" editions can be found. Create your own swap club with friends and family ... once a book has been enjoyed, pass it on. Living "green" is often a matter of balance. A book, by it's very nature, is less than environmentally friendly but ... by adopting these ideas we can minimize our impact ... all while enjoying a good read. Those of you who have followed my blog know, or have guessed, that I don't kill animals, insects ... basically any living critters ... not even the creepy, crawly variety. In previous posts, I've talked about not killing wasps because they are pollinators, eating meatless meals because they are good for the planet and why we shouldn't buy ornaments which are made out of bird feathers. I realize that not everyone shares my belief ... and I respect that. These animals are currently in a protected area ... they have learned to feel safe from humans. Now they are being destroyed, simply for vanity. I believe it's wrong. If you agree with me, I hope you will sign the letter of protest which can be found on the above link (click the button which says "Take Action"). There is also a very short petition you can sign HERE. Please spread the word. Maybe if enough people protest this action, we can stop it. Thank you! Most over-the-counter pain relievers (Advil, Midol, Motrin, Nuprin, Aleve, Ibuprofen, etc.) are part of a family of drugs called NSAIDs (nonsteroidal anti-inflammatory drugs). The warnings for these drugs say they can increase your risk of life-threatening heart or circulation problems, including heart attack or stroke. For the most part, the warnings are directed at people who already have heart disease, high blood pressure, etc. I've recently learned, in a most frightening way, that these drugs can cause a totally healthy person to develop high blood pressure in a very short amount of time. And high blood pressure can cause stroke and/or death. So ... my tip today is to check the labels of over-the-counter pain relievers and if they are NSAIDs or contain Naproxen/naproxen sodium, PLEASE CHECK WITH YOUR DOCTOR BEFORE USING THEM. Better yet ... find other, safer methods to deal with pain. In Asheville, we've had quite a lot of winter weather lately. I love it but ... I am getting a little tired of staying indoors. Yep ... I have "cabin fever". So, I'm headed on a road trip! Want to join me? You never know where we'll end up! Whenever I'm in the mood for a new recipe, I head to Callin cooks from all over the world ... a wonderful forum full of fantastic recipes, including a whole bunch of vegetarian/vegan dishes. My bloggy friend Amy, from The Wayland Springs Cook, is the administrator and has amassed a truly great collection of recipes. I've tried a number of them and we've loved every single one. 2. In a separate pan start boiling water for linguine and get linguine cooked while you continue. 3. Add garlic, saute for a minute or so. 4. Add tomatoes and beans and bring to a boil. 5. Cover with spinach, top with lid, reduce heat to low and simmer about 10 minutes. Stir occasionally. 6. Spoon tomato/beans/ spinach mixture over linguine and sprinkle with cheese. If you have a vegan recipe that you'd like to share with us, please send it to my email (reducefootprints (at) gmail (dot) com). Recipes are posted on the first Friday of the month. One percent (1%) of the earth’s water is suitable for drinking. Approximately one billion people do not have access to clean drinking water. Nothing beats a nice, cold glass of water. Instead of letting the tap run until the cold water comes through ... keep a container in the refrigerator. You'll save approximately 2 gallons (per glass). There are approximately one million miles of pipeline and aqueducts in the United States and Canada ... enough to circle the earth 40 times. Headaches are often caused by dehydration so try drinking a glass of water, before taking an aspirin, for relief. When taking a shower, put the plug in the tub ... it's a great way to see how much water you are using. By the way ... shorten your shower by a minute or two and you'll save up to 150 gallons per month. Turn off the water while you wash your hair and soap up. Water regulates the earth’s temperature. Here's a surprise ... it's a natural insulator. All known forms of life depend on water. Rather than defrost food under running water, plan ahead and defrost in the refrigerator (you'll get the added benefit of the frozen food keeping the temperature low in the refrigerator). Choose native shrubs and plants for your yard ... they typically require less watering. A person can live over a month without food but only about a week without water. One person uses over 100 gallons of water a day. It takes approximately 62,600 gallons of water to produce one ton of steel. When you have ice left in your glass, give it to a plant rather than toss it down the drain. 3.575 million people die each year from water-related diseases (from World Health Organization).